A few Thirsty Thursdays ago I did something I promised myself never to do: join a wine club. New York’s steely wines rarely make it to the West Coast. So frustrated and fueled on nostalgia, I got my first shipment from Ravines and rather liked their Keuka Red Blend (see review). 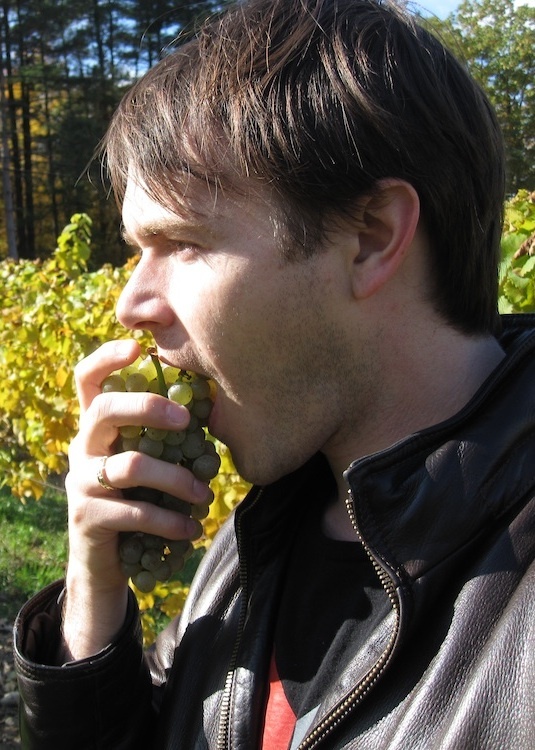 Today, we open what the Finger Lakes do best: Riesling. But not just any Riesling, Ravines single Argetsinger vineyard from 2011. 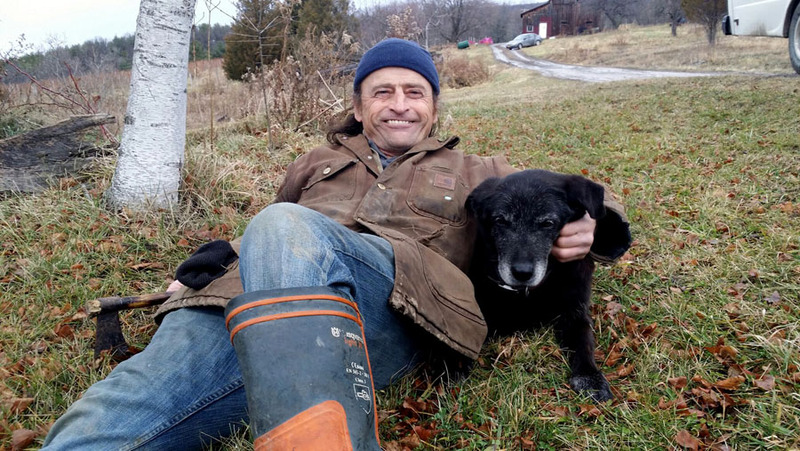 Sam Argetsinger had worked tirelessly to resurrect his family vineyard above Seneca Lake since 1996. A former logger, former lit student, he learned viticulture from this plot. The Riesling from here was consistently New York’s most precise. I heard him talk a few years ago. Regrettably he died in December. So a toast to Sam. 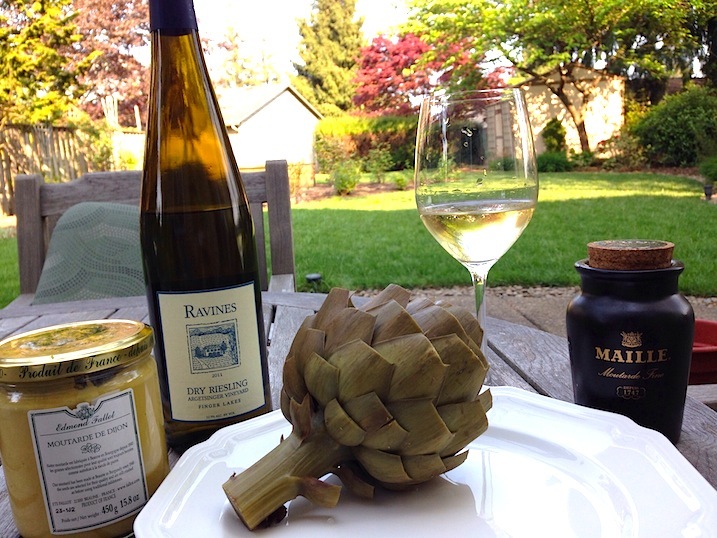 Oh, and we brought a gorgeous artichoke and two fabulous French mustards along for the ride. Appearance: looks a pale, steely lemon, with a slight petillance and streamer-like legs. Aromas: smell of pronounced, high quality rubber, petrol, wet slate, and a resounding lime peel. This wine have evolved far beyond fruit. Palate: feels dry and taught, with relentless, drool inducing, high acidity, moderate alcohol 12.5%, a plump medium body, and a dualist sprite-like yet silken texture. Flavors: front a laser guided, taste bud seeking missile of intense French lemon candy, super precise, eye-watering citrus, and that salt on a lime-rimmed margarita lip, followed by anise that lasts an astounding long length. Ravines’ Argetsinger Vineyard Riesling is outstanding wine (5 of 5). It slakes the palate as we peel through the artichoke leaves like oysters. The tart chablis in each mustard rings in synchronicity with the Riesling’s high tones. This is bright, brilliant shining, aggressive but not angry: a perfect wake up after a long day. I would expect nothing less from Sam. This entry was posted in Uncategorized and tagged Argetsinger, Finger Lakes, New York, ravines, riesling, Sam Argetsinger, Seneca Lake, wine, Winery. Bookmark the permalink.